One of our favorites of the upright hollies, the 'Emily Bruner' Holly is a care-free large shrub or small tree with large, lustrous, rich-green evergreen leaves. It produces LOADS of green berries in summer that turn bright red in fall and persist throughout winter. Get all the details below! 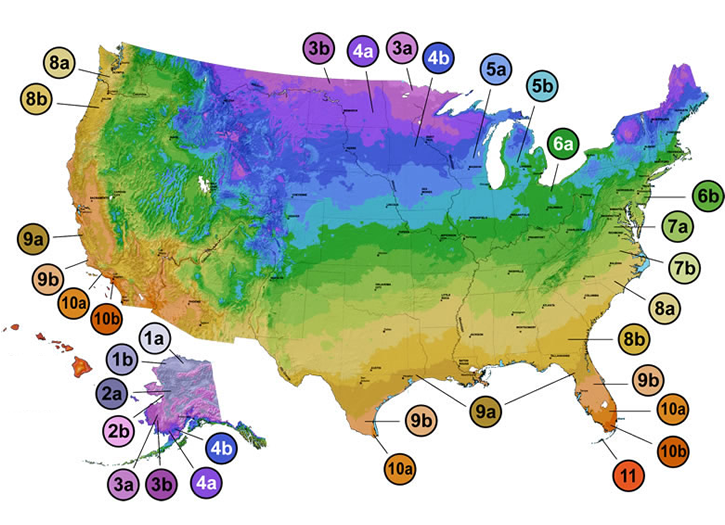 Note: For our customers who live and garden north of USDA Plant Hardiness Zone 6b, where this Holly variety is not reliably winter hardy, you'll be happy to know it can be grown in containers that can be brought indoors during winter and placed back outside when temperatures warm up in spring. 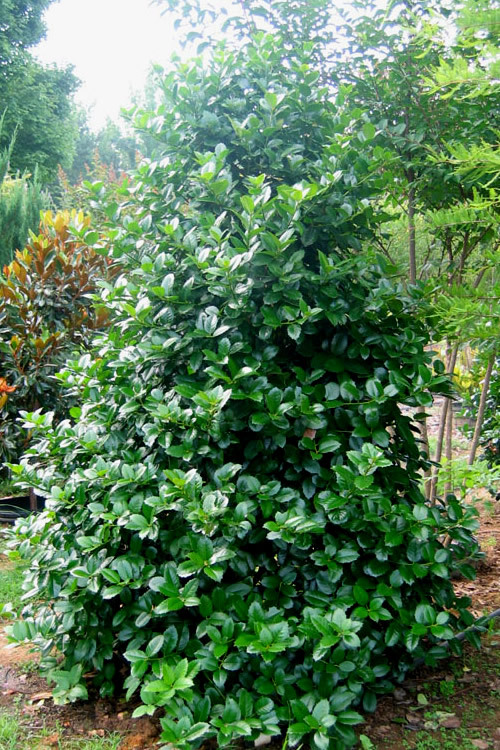 One of our favorites of the upright hollies, the 'Emily Bruner' Holly is a care-free large shrub or small tree with large, lustrous, rich-green evergreen leaves on a broad, pyramidal form. It produces LOADS of green berries in summer that turn bright red in fall and persist throughout winter. 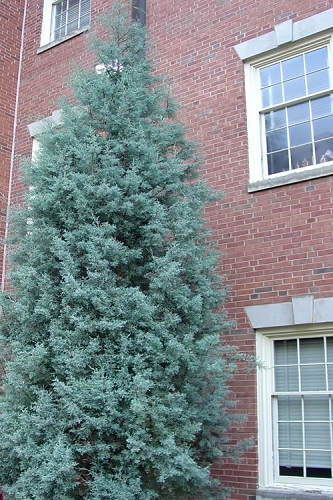 Emily Bruner has a natural, pyramidal form, beautiful enough to be a specimen tree while growing fast enough to form a privacy screen. Tolerates shade very well and more cold hardy than other cultivars. 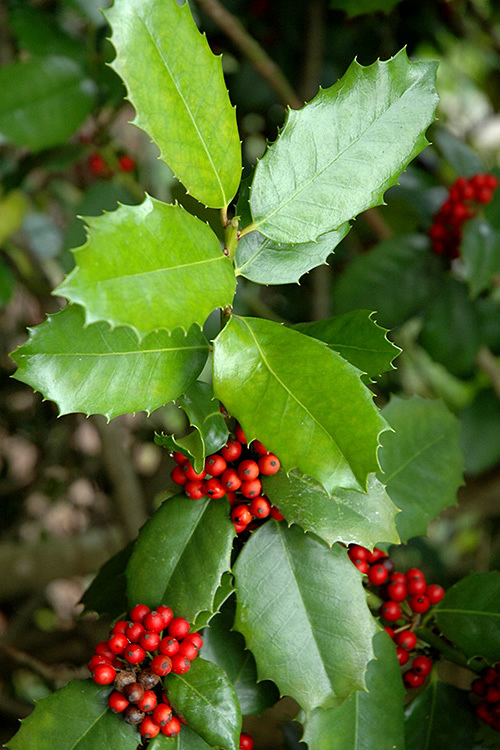 Growing naturally in a pyramidal form to 20 feet or more tall and 12-15 feet wide at its base, the Emily Bruner Holly can be grown as a large shrub or small tree. 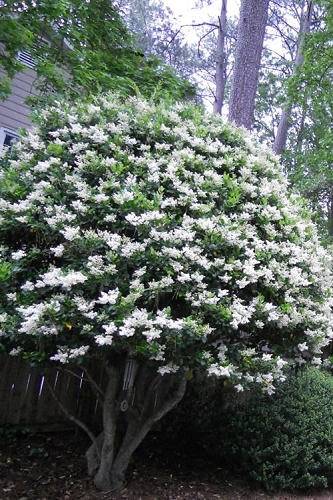 As a large shrub she is perfect for use in staggered or single rows as a tall privacy screen or a corner plant for tall homes. Also nice grouped in landscape borders. A fine addition to bird gardens and holly gardens. The Emily Bruner Holly is exceptionally easy to grow. It adapts to many soils preferring a moist but well-drained acidic soil of average fertility and will grow in sun or shade. 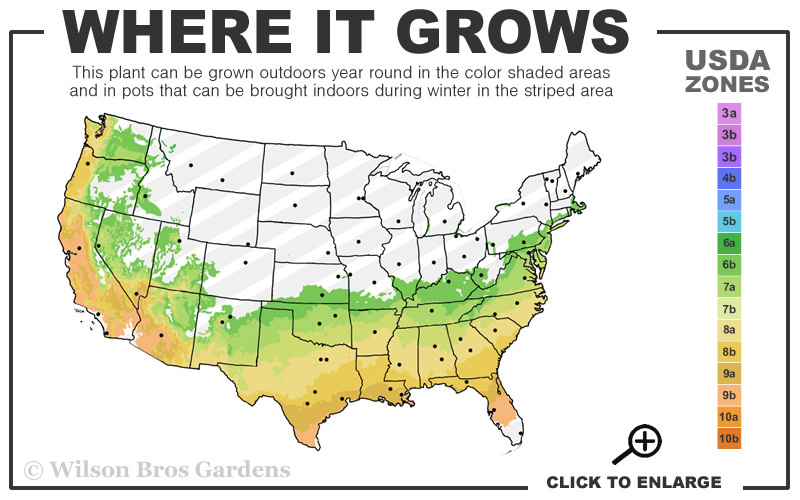 Alkaline soils result in chlorosis (yellowing of leaves) which can be corrected by the application of chelated iron and/or soil sulfur. More berries are produced in full to mostly sun however you can expect a good crop even in shade shade. Relatively low maintenance when left to grow natural. That said, many landscapers will perform an annual pruning or shearing to maintain a more formal appearance or to control size. 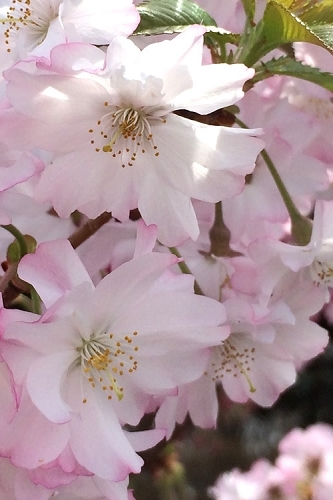 Important Note: Any heavy pruning after spring flowering will reduce or eliminate berry production. 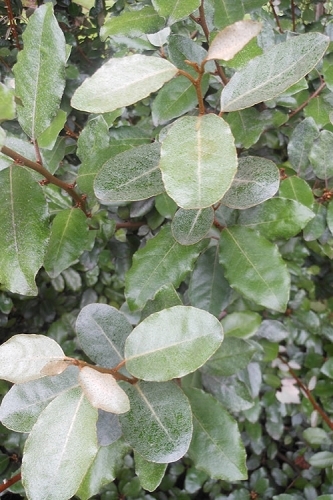 Click on a link below to find helpful advice from our experts on how to plant and care for a Holly tree. Q: What male holly do you have to match with this Emily Bruner holly? I've read the female holly needs a male to pollinate but I don't see any male hollies on your web page. Thank you for contacting us. 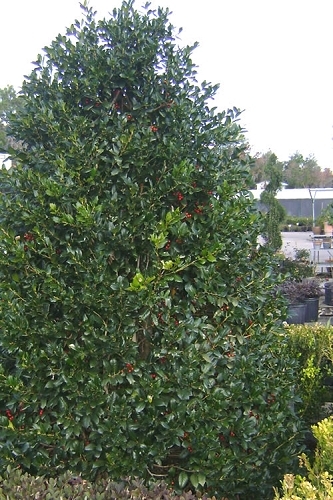 Here in Georgia American Holly grows wild in the woods and forests. This is usually enough pollen from these wild ones for the hollies in the landscape. 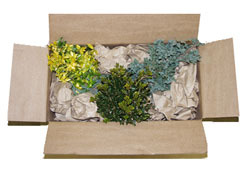 If you have natural green space nearby chances are there will be American Holly close by as well that will do the job. 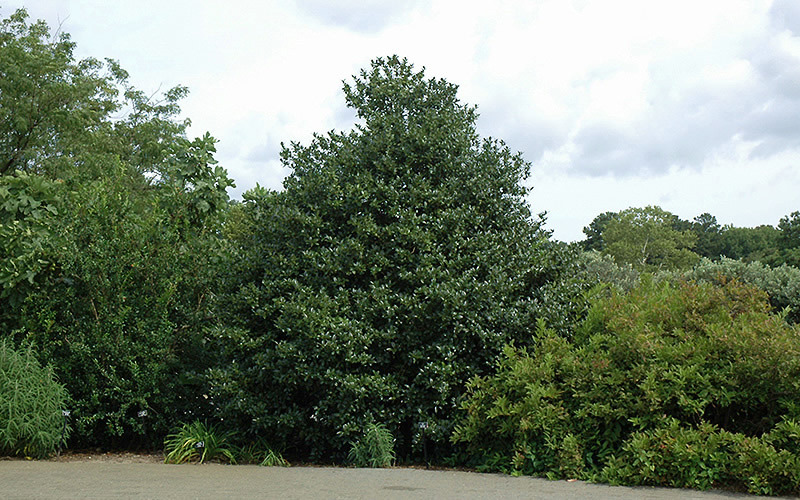 If there are no wild hollies around, 'James Swan', 'Edward J. Stevens' and 'John Morris' are cultivars that can be used as the male counterpart in breeding. But I"m not sure how available these are in the market. 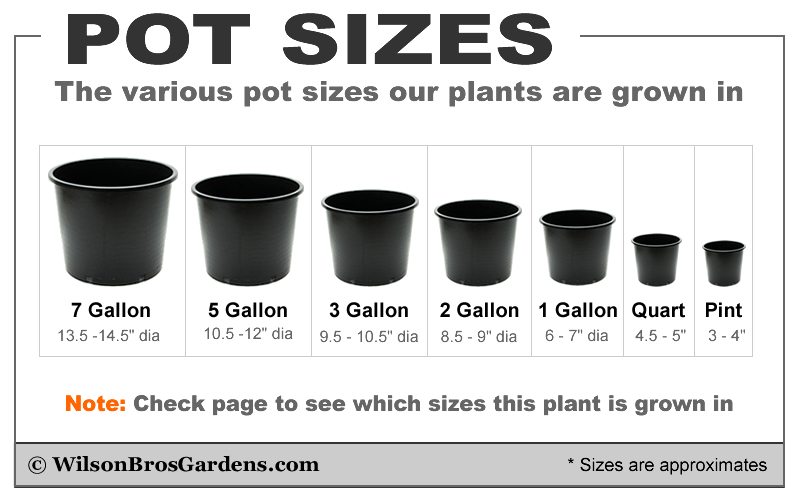 I hope this is helpful. Have a great weekend.